And another orca was just spotted with a skin infection. 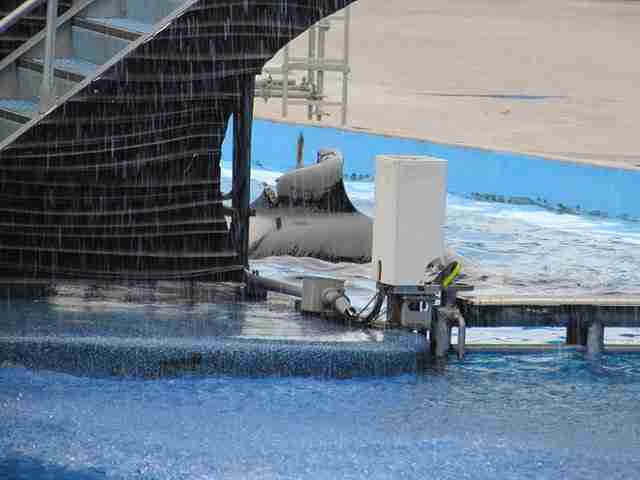 In April, disturbing photographs emerged of an injured orca at SeaWorld Orlando named Katina — Katina’s dorsal fin had been cut open and bore a long, deep gash. Two months later, Katina’s dorsal fin looks like it’s still in bad shape. 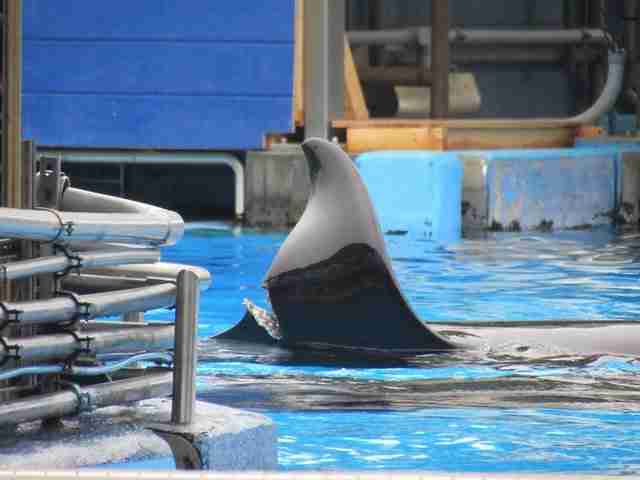 When Katina’s injury first appeared, SeaWorld claimed that it didn’t know how she got injured, although the park mentioned in a blog post that she’d been “interacting” with other orcas, including a 12-year-old male named Trua. The park also waited two weeks before publicly announcing that Katina was injured. Yet Naomi Rose, a marine mammal scientist at the Animal Welfare Institute (AWI), expressed disbelief at the time that the park wouldn’t have further information about Katina’s injury. SeaWorld also claimed in the blog post that Katina’s injury was a “common occurrence” in wild orcas, and that aggression amongst these animals is “natural behavior.” Yet Rose, who studies wild orcas, disagreed. While it’s still not clear what caused Katina’s injury, it’s possible that Katina was attacked by another orca, or even injured by a gate or a protrusion in the tank. 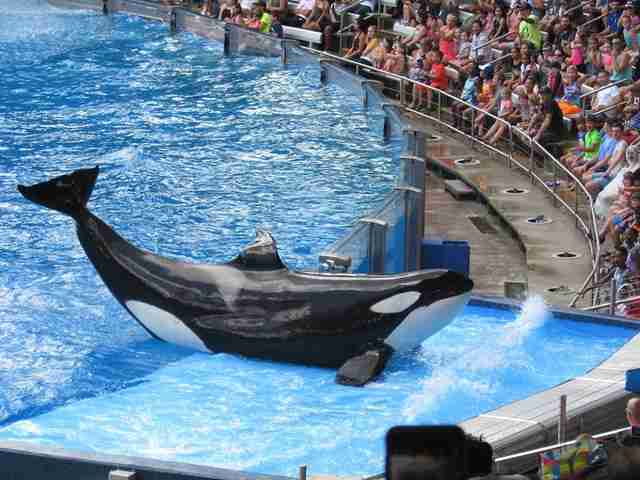 Katina isn’t the only animal at SeaWorld who’s suffering. 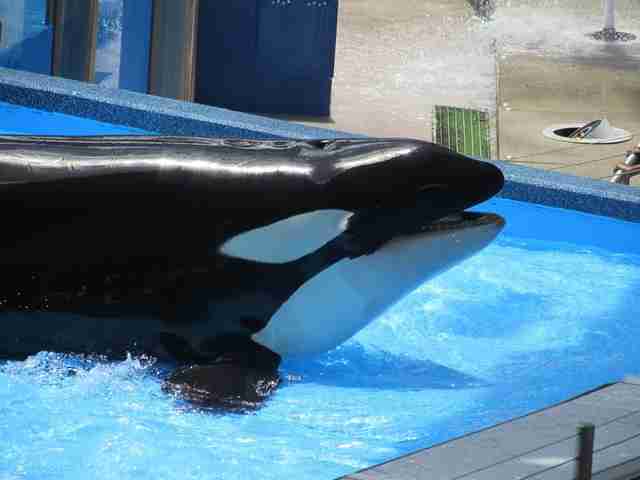 Another orca, Malia, was photographed recently with discoloration on her body due to a skin disorder. Murphy told The Dodo that Malia has been suffering from this condition for the last six months. 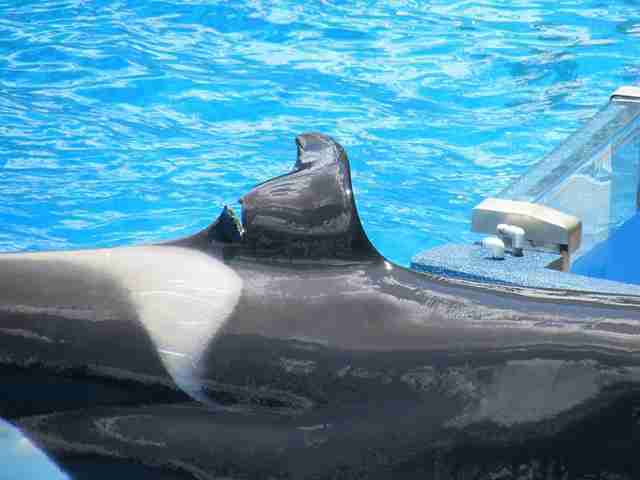 These are just the latest in a long string of welfare issues that have popped up at SeaWorld parks — orcas have been spotted ripping skin off each other, biting each other and demonstrating signs of psychological stress. 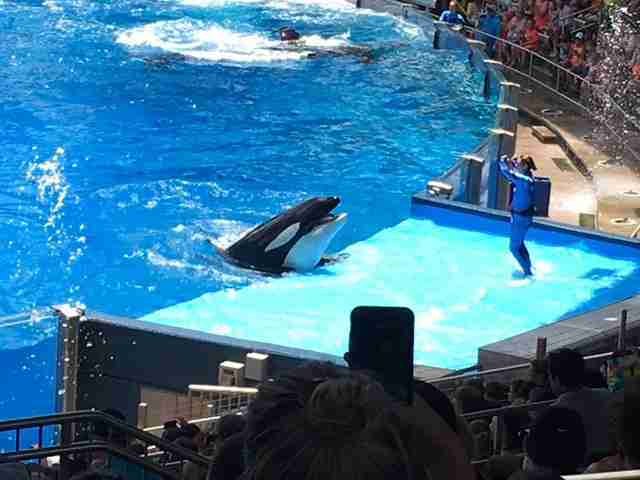 Both Katina and Malia continue to perform in daily shows at SeaWorld, according to Murphy. SeaWorld has refused to retire its orcas, but people like Murphy hope that continued public pressure will force SeaWorld to retire Katina, Malia and the other orcas to an ocean sanctuary. A group of former SeaWorld trainers and biologists — including Rose — have even come together to form The Whale Sanctuary Project, which is working to build a sanctuary where captive cetaceans like SeaWorld’s orcas could one day retire and live out their days more naturally. UPDATE (6/12/2018): SeaWorld has responded to this article by saying that Katina's dorsal fin has "continued to heal as expected." "As reported in March of this year, her behavior returned to normal almost immediately following the injury," a spokesperson for SeaWorld told The Dodo. "Since then, she is not showing any signs of discomfort and has been engaging with guests and the other orcas in her pod, as well as the care and veterinary staff as they continue to treat her." The spokesperson also said that Malia's skin condition was "nothing concerning." "Simply put, the superficial layers of her skin are shedding more slowly, resulting in the color change," the SeaWorld spokesperson said. "Her team of animal care and veterinary teams are monitoring the color change as it is an opportunity to learn more about the progression of skin changes in managed and free-ranging killer whales." To help Katina and Malia get to a seaside sanctuary, you can make a donation to The Whale Sanctuary Project.